Klitsa Tutoring seeks to provide an accepting, progressive tutoring service for all academic learners by encouraging individual success through a learner-centred teaching approach. Our vision is to build a literate, healthy, and sustainable community. Klitsa Tutoring was established in 2011 as a response to community need for a tutoring service to enhance the academic goals of the youth of the Alberni Valley. 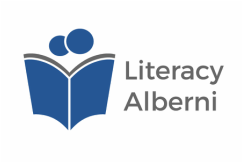 Klitsa Tutoring is located in the Literacy Alberni building and is a program overseen by Literacy Alberni's Board of Directors. In the past six years, Klitsa Tutoring has grown to include academic support for learners of every age. From intervention for emergent readers and understanding early Math concepts, to support for adult training programs and upgrading, we strive to provide the right tutor for the individual. Collectively, our tutoring staff supports approximately 120 learners per school year, and provides more than 2500 tutoring hours to Alberni Valley students. In 2015, we increased the range of expertise we sought in our tutors by recognizing certifications from other provinces and countries. 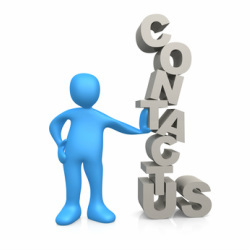 For more information about our hiring policies, please see the Joining our Team or FAQ pages. In January 2017, we started our Subsidized Tutoring Program to provide help with tutoring fees to make our services more accessible. In May 2017, we were proud to award the first Klitsa Tutoring Bursaries to Alberni District Secondary School graduates Ryan Hines, T'yanna Laflamme, and Hannah Bilodeau. These bursaries are available to any former Klitsa student in their graduating year, and more information about applying can be sought from the Career Centre at ADSS.